I'm so excited to be part of this & represent myself, as well as Pixels and Company for the first time! What an amazing group to be part of! I really loved the theme & the colors we used... so fun! Here's my kit for you! If you get lost along the way, simply head back to the main DigiScrap Parade site to view the master list and get back on track." Nice way to go. Thanks for sharing !! Thank you for the free parade !! Great papers and I love the labels - thank you so much! Thank you for the free Parade digy's they are amazing. I wish I had the talent. Thanks so much for your fun part! The download didn't work for me. 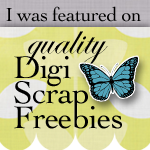 Thank you for the awesome Digi Scrap Parade freebie!!! Thank you so much Robyn!! I love all your work! Thanks for your part of the DSP train! Thank you Robyn, for your terrific contributions to the blog train! I like everything you made and also the coupon! Your map paper is wonderful and love the tags for little comments. Thank you so much! Thank you very much ... so lovely.